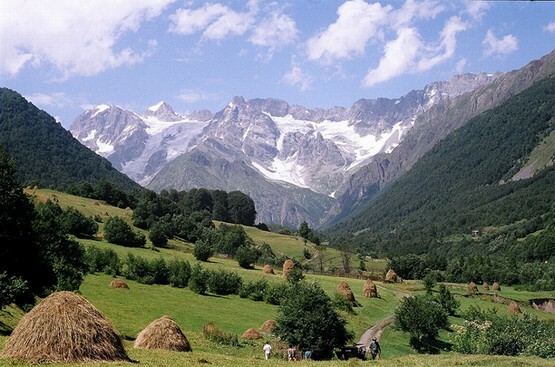 Located on the northern slopes of the Greater Caucasus Mountains, Tusheti (Georgian: თუშეთი) is famous for its fortress-houses and fortified towers. 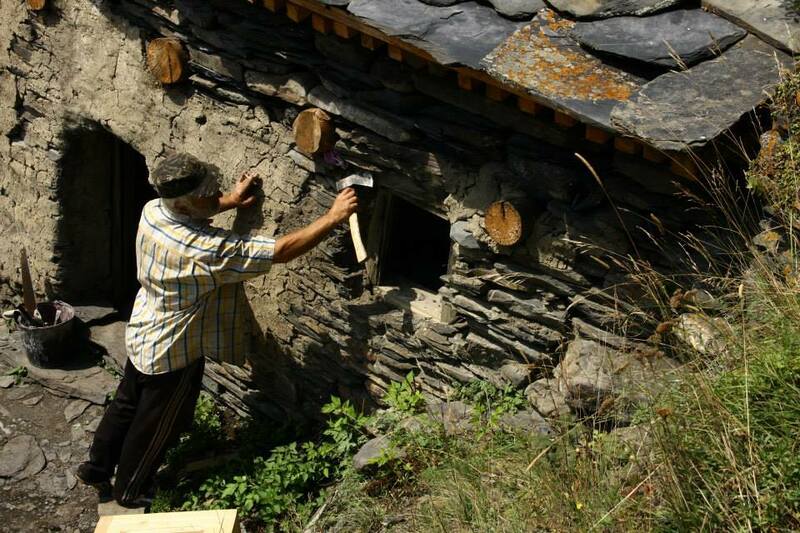 Its vernacular architecture is based on local needs and construction materials and traditional dwellings were largely built using dry construction methods with stone walls and roofs made from large natural slates. Timber work was often highly decorated with painted carvings and fretwork. 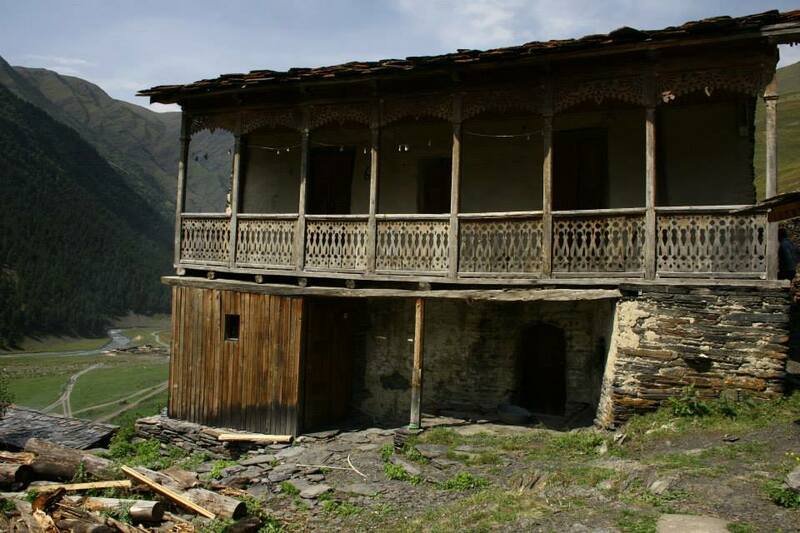 Traditional Tushetian balconied house (“Karseani”). Houses were often built with two floors. The ground floor housed livestock and the upper floor was the living quarters for the family. 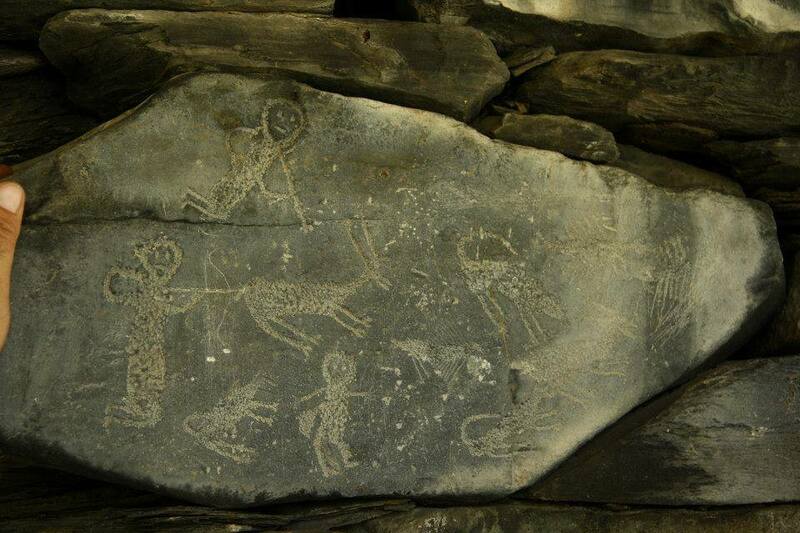 An old carving depicting a hunting scene on a stone forming part of a wall. The stone towers that can be seen in Tushetian villages mainly date from the Middle Ages and were built as protection against invaders and raiders. A fortified tower viewed from the balcony of a traditional house. 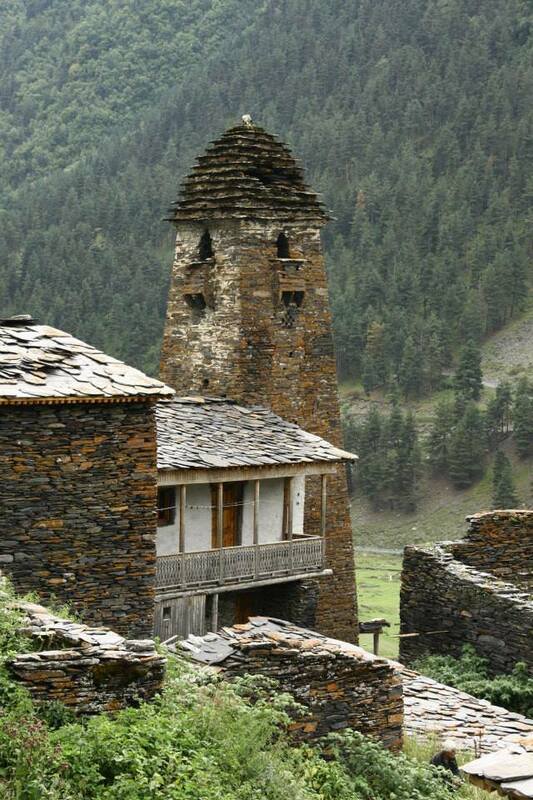 Similar in construction to the towers in Svaneti, they usually have from three to five storeys and the thickness of the walls decreases, giving the towers a slender, tapering profile. 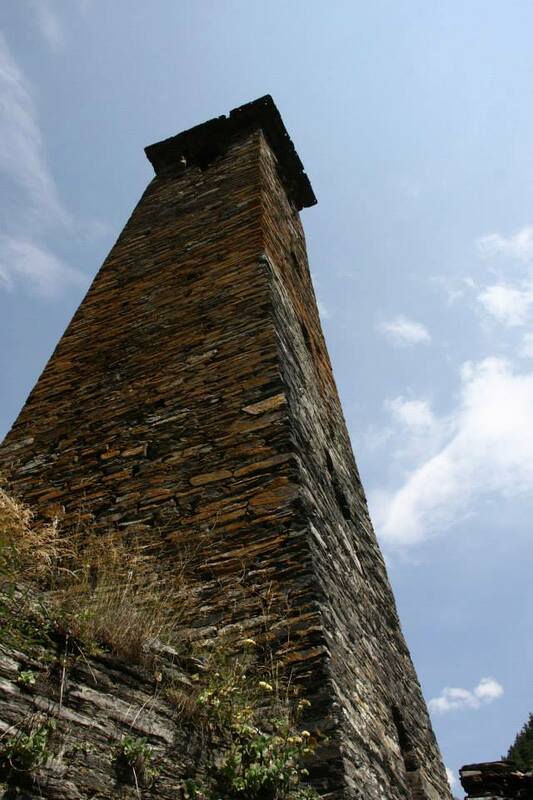 The slim, tapering profile of a Tushetian fortified tower. 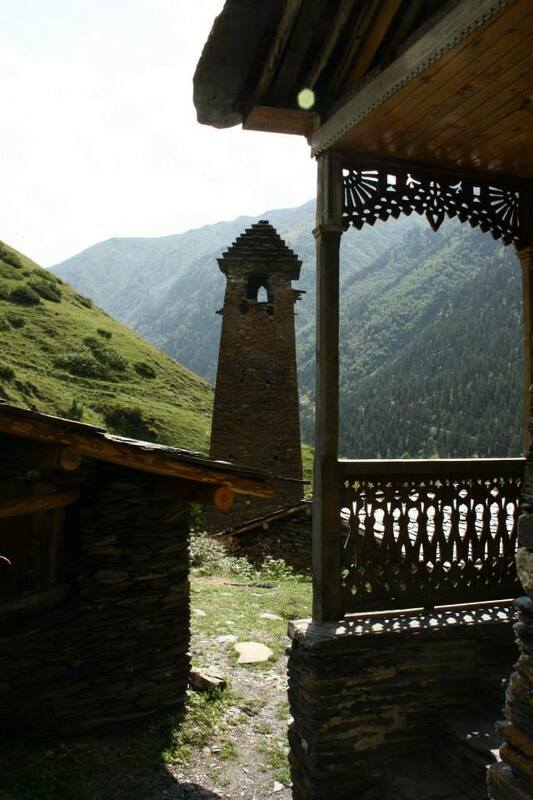 Many of the towers have disappeared or have collapsed into ruins over time but the ones that remain are beautiful examples of vernacular architecture that contribute to this remote region’s enigmatic reputation. Photos courtesy of the Ministry of Culture and Monument Protection of Georgia.